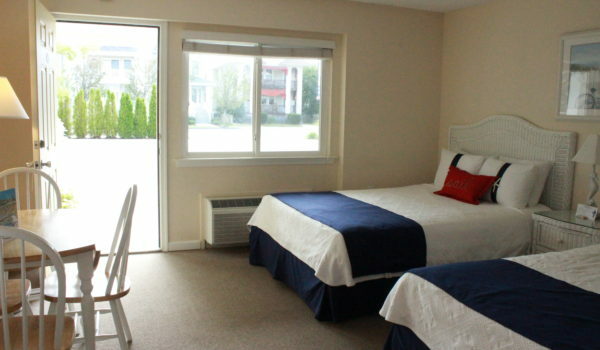 Allow the beautiful Seaport Inn to be your Ocean City getaway that feels like home. Conveniently located in the heart of town, this boutique motel is a short walk from all the fun that America’s Greatest Family Resort has to offer. Be it beach, Boardwalk, restaurants, or shopping Downtown, it’s all within steps. No worrying about where to park, just get up and go. At the Seaport Inn, you’re treated like part of the family, a small detail that makes a huge difference in your experience. This cozy, bright motel is a family-operated business with well decorated spaces offering the best in cleanliness, quality, and comfort. The well-appointed, recently-renovated rooms are comfortable and close to everything. There are weekday specials offered throughout the year on already reasonable rates. The Seaport Inn has been voted the Number One Ocean City Hotel for three years in a row and received a 2016 Travelers Choice Award on Trip Advisor. So come and stay at The Seaport Inn and make memories with family and friends that will last a lifetime. Find them at 1116 Wesley Avenue, Ocean City • (609) 399-1122 • seaportinnmotel.com. For more fab stories, click here.